Sony is most likely to launch a new flagship smartphone known as the Xperia XR on the first day of IFA 2016 in September. 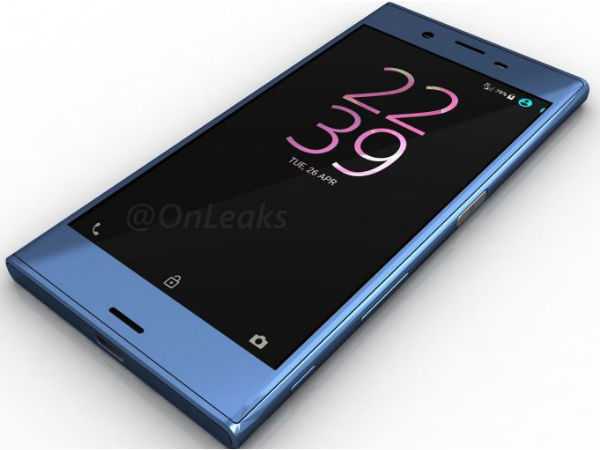 However, various images of this prospective handset have already been leaked by journalist Steve Hemmerstoffer. Also many reports have started pouring in about the possible specifications of this device. Codenamed as F8331, Steve mentions in his Twitter account that the Android gadget will be a part of the manufacturer’s Xperia X series. Interestingly, based on the ongoing rumors, this smartphone has some features offered by Sony for the very first time. The Sony Xperia XR is stipulated to be wider and taller, but marginally thinner than some other popular Xperia X series handsets released so far. Following some ongoing talks about the device, the estimated size is 146.4 x 71.9 x 8.1 mm.There is however no information available about how much the gadget will weigh or what would be the manufacturer’s choice of material for the body. Unofficial reports state the possibility of the weight being close to 148g. Also from a sneak peek into the leaked images, it looks as if the Xperia XR will house a plastic or polycarbonate body. There is also a controversial report about a non-slippery metal body. One of the first time features will be the inclusion of curved sides in place of the usual flat sides for the smartphone while conforming to the omnibalance design. The bezels at the top and bottom are going to be as thick as usual. There are two ongoing statements regarding the size of the screen of the Sony Xperia XR. While one of them supports the use of a 5.1-inch screen, the other suggests the possibility of a slightly larger 5.3 inches screen. Irrespective of the size, the Full HD IPS LCD display will have a standard pixel resolution of 1920 x 1080 and a pixel density of 432ppi. Moreover, the display screen is said to render support for mobile Bravia engine and super vivid mode. Also, Sony is reported to have taken efforts to protect the glass from scratches by incorporating a Corning Gorilla Glass. According to an online statement, both cameras make use of Exmor sensors. If a rumor about these cameras is to be trusted, the Xperia XR is going to be the first smartphone ever to support 4K or 2160p video recording functionality with both its videos. Just as Sony does not put you off in its camera department, this handset will also present a treat for those who love to shoot photos and videos with their device. The rear primary shooter is bound to be a 23MP snapper with dual LED flash. This flash is yet another first time change as all other Sony smartphones have only provided support for a single LED flash so far. Clear image zoom, date tagging, video stabilizationand low light mode support areanticipated to be some of the major features of this shooter. For the secondary front snapper, you will find a 13MP camera with a wide angle lens. While there are two statements about the possibility of a 3GB RAM and a 4GB RAM, maximum number of reports state the inclusion of the former in the Sony Xperia XR. This will be backed up by 32GB ROM as built-in storage. You can blow up on this storage by 200GB with the help of an appropriate memory card. The handset will run Android 6.0 Marshmallow out of the box making it possible for you to take advantage of many new Android features introduced for the first time in this version. The above configuration will be supplemented by a quad core Krait processor, a Qualcomm Snapdragon 820 chipset and an Adreno 530 graphics processor. The Xperia XR will primarily be a dual SIM model. But, there are plans of an optional single SIM variation also being made readily available. A lot of sensors (including all the major ones) will find their place on this handset. These are guessed to be compass, proximity sensor, ambient light sensor, gyroscope, accelerometer and fingerprint sensor. In fact, there is going to be a separate button for the fingerprint sensor. Apart from all these sensors, the Sony Xperia XR will also feature a torchlight. On the connectivity front, the options supported will be Wi-Fi (802.11 a/b/g/n/ac, dual band, direct and DLNA), GPRS/EDGE, Bluetooth 4.2 with A2DP, micro USB and USB Type C. The USB Type C connectivity will make its presence felt for the first time in this device.